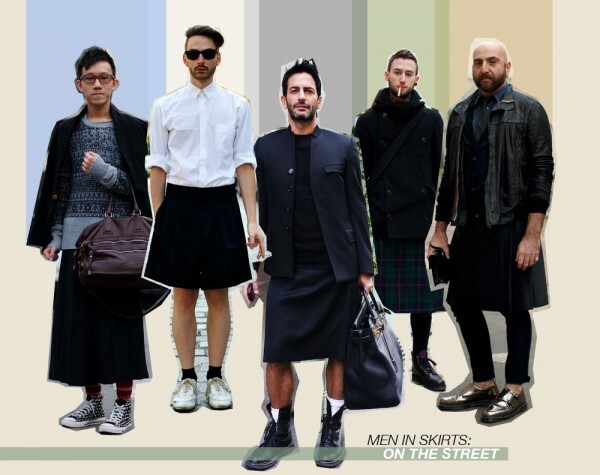 Outside of Western cultures, men's clothing commonly includes skirts or skirt-like garments; however, in North America and much of Europe, the wearing of a skirt in today's times are usually seen as typical for females and not males. 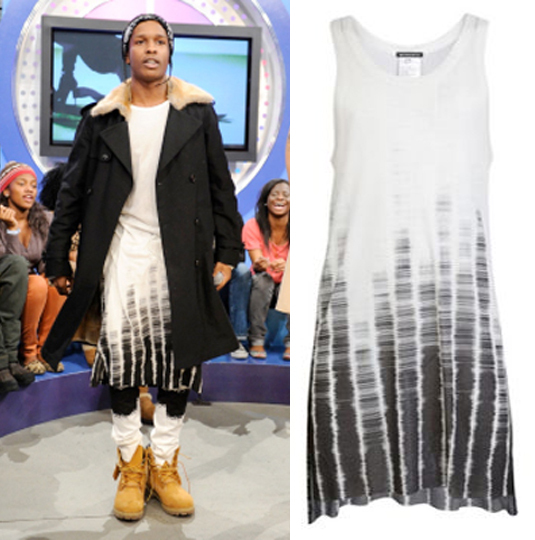 Although the extended hem is most commonly viewed as feminine... is this the new trend crossing over as a unisex piece? 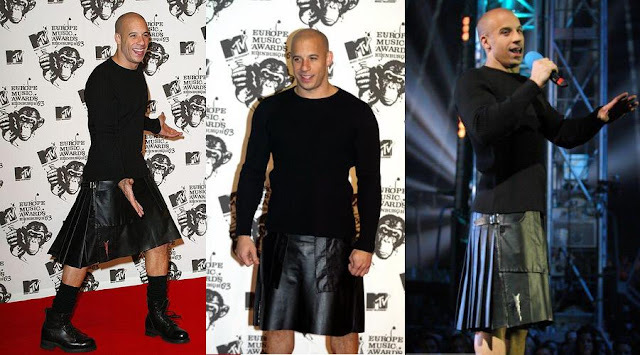 Ancient Hebrew, Greek, and Roman men generally wore what are now considered skirts in some form of a tunic. Ancient Egyptians wore a wrap skirt, similar to sarongs. Both the Anglo-Saxons and Normans wore skirted garments, as can be seen in the Bayeux Tapestry. 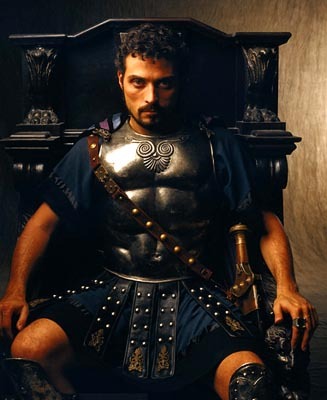 These fashions continued well into the Middle Ages. 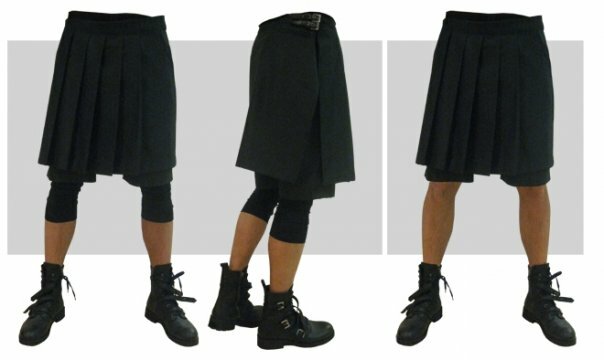 The garment more commonly transcended to the Scottish tradition and was widely excepted within the culture known as a kilt. 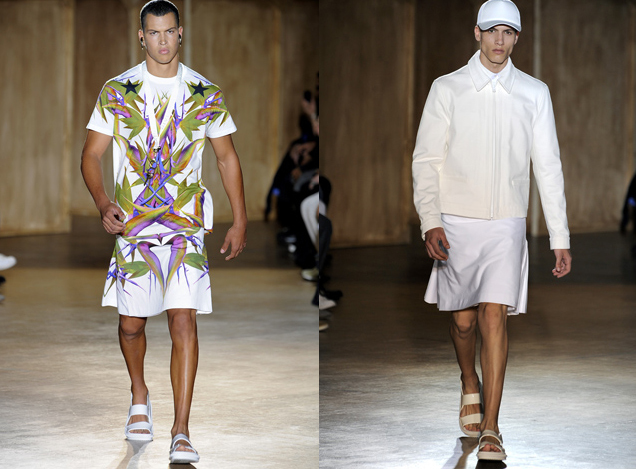 If you thought this trend was all a fad, the stylish hem has graced the runway collections of Jean-Paul Gaultier, Girgio Armani, John Galliano, Kenzo, Givenchy, Rei Kawakubo, Marc Jacobs, Comme des Garcons, Rick Owens and Yohji Yamamoto. 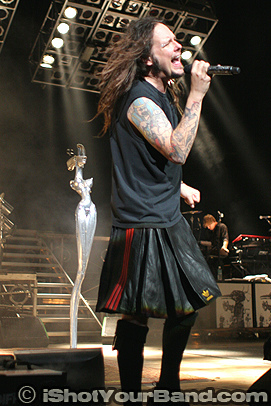 Lead singer of band Korn, Jonathan Davis, has been known to wear kilts at live shows and in music videos throughout his career of 18 years with Korn. 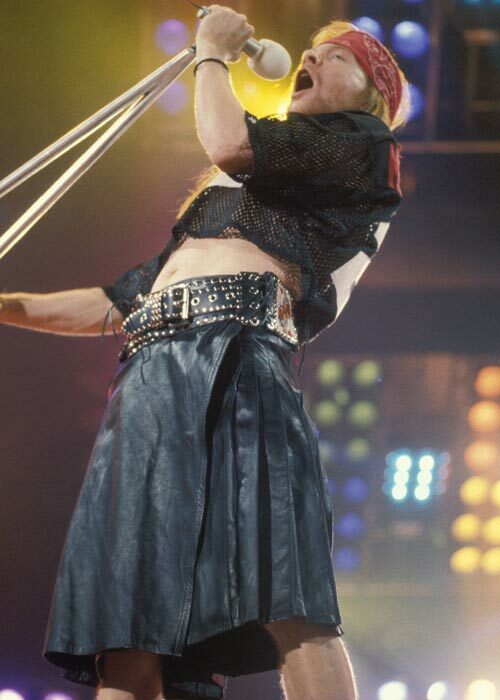 Guns N' Roses' singer, Axl Rose, was known to wear men's skirts during the Use Your Illusion period. 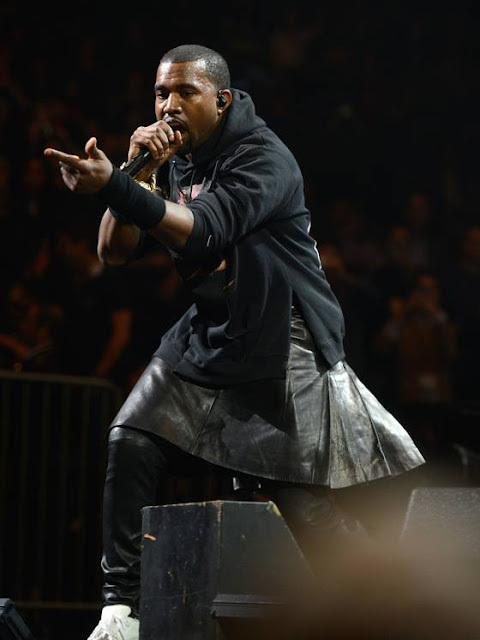 and who could forget Kanye's 12-12-12 performance? 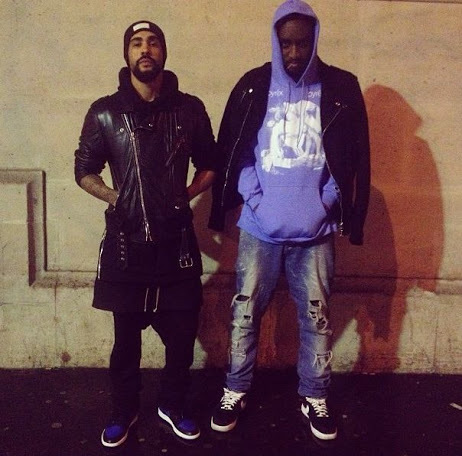 So I guess the question is, "Who's really wearing the pants?" 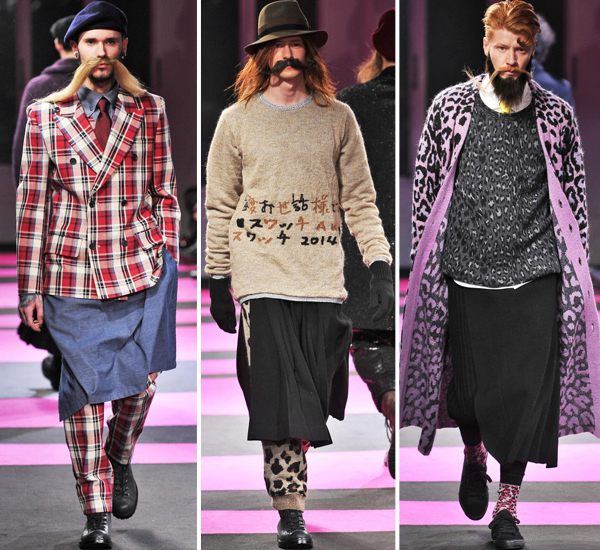 Would you say the trend is Avant garde, unconventional, or just plain weird? 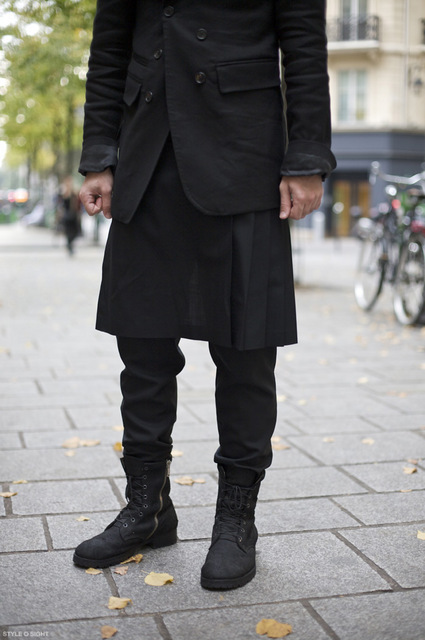 I will say I'm not necessarily feeling the whole leg out and high boot style of wearing an extended garment hem (see how I cleaned that up... 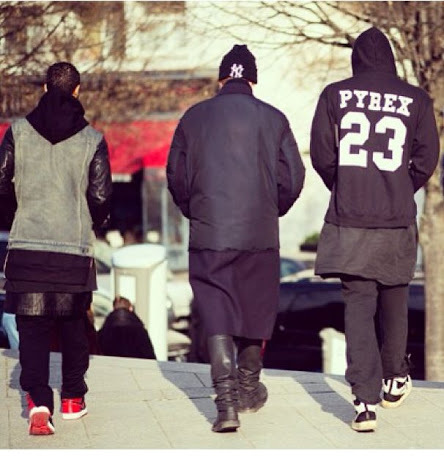 I dislike the whole men in skirt lingo lol) but I do like how Ye' kept it simple with a pair of leather pants and sneakers. I couldn't blog about it without trying it... How did I do? Now granted, I don't expect people to jump on board and accept it, but I know there are just a hand full of guys confident enough within their masculinity who would try it. 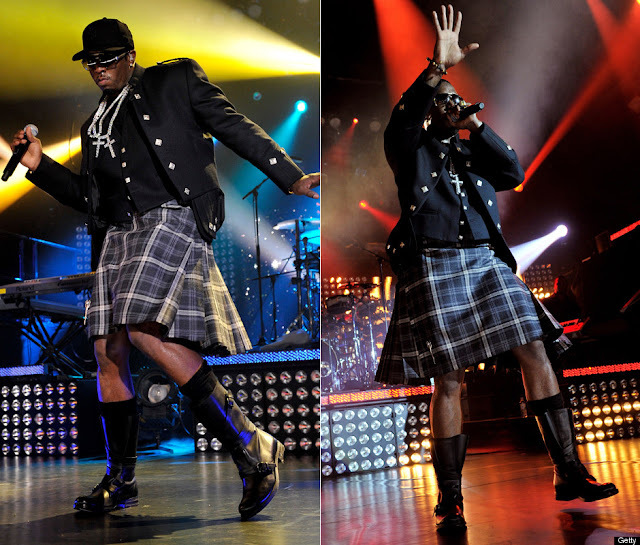 If it's not for you... that's okay... but don't kick a man when his skirt is down (lol). I don't think the next time I'm grocery shopping or go to a club I'll expect to see the majority of men having on what appears to be a skirt, but I will say I commend anyone bold enough to go against the grain to make a statement? I mean, isn't that what fashion's all about? 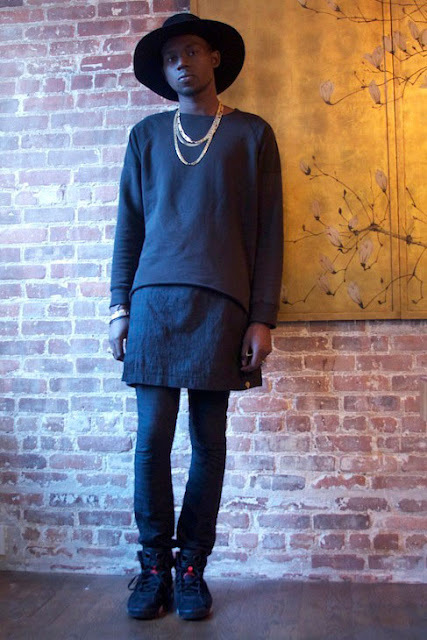 Style Tip: If your not the risk taker, play it safe and wear a longer tee-shirt as a layering piece to create a longer hem. 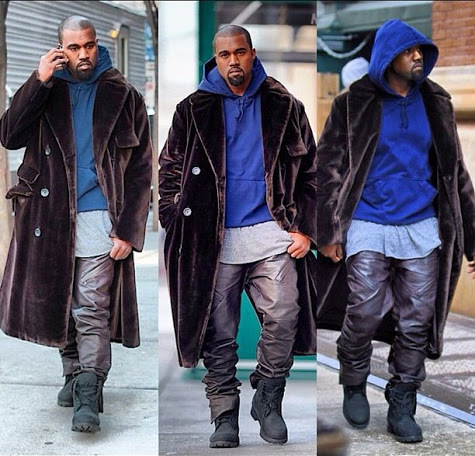 Are you man enough to embrace the trend?